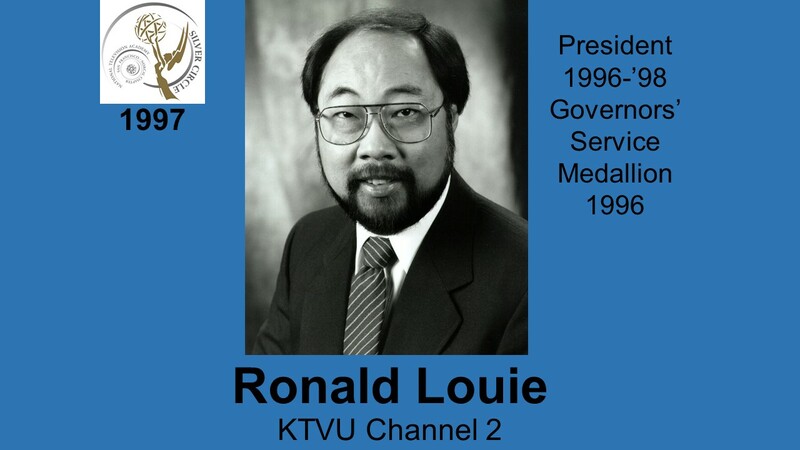 RON LOUIE is currently Chapter president, and has served as vice president, treasurer, and committee member, including the important Membership Committee. He has always been willing to help out when needed— organizing a judging panel, conducting an event, making calls. In addition, he has been active as a Board member of AAJA and has involved himself in IBEW and AFTRA concerns. Ron is a graduate of San Francisco State University beginning work at KTVU in 1971, where he has remained ever since. His area of expertise has been directing news, sports and computer programs.